Written by the well-known activist and propagandist Tom Brown, this text explains clearly the principles according to which syndicalist unions organise, and the new society they aim to create “within the shell of the old”. This simple introduction to syndicalism, workers control and libertarian communism originally appeared as a series of articles in War Commentary for Anarchism in 1943. Excerpted from Tom Brown’s Syndicalism, Phoenix Press, London, July 1990. Syndicalism — a theory and movement of trade unionism, originating in France, in which all means of production and distribution are brought under the direct control of their workers by the use of direct action, and organised through federations of labour unions; direct political and economic democracy in the workplace and community organised through labour unions and federations, including the abolition of capitalism, social classes, parliamentary government, bureaucracy and political parties. Anarcho-Syndicalism — Syndicalism; the Anarchist labour movement as characterized by labour unions and federations in Argentina(FORA), Bolivia(FLP), Costa Rica(HL), Chile(IWW), Denmark(USP), France(CNT), Germany(FAU), Guatemala(CAS), Holland(NSV), Italy(USI), Japan(JRDZK), Mexico(CGT), Norway(NSF), Paraguay(COP), Poland(ZZZ), Portugal(CGT), Spain(CNT), Sweden(SAC), Uruguay(FRU), etc.. Direct Action — action aimed at directly achieving an objective; The strategic use of immediately effective acts, such as strikes, pickets, sabotage, etc., to achieve a political or social end; the Syndicalist idea that real social change can only come about by the actions of the workers themselves and not by relying on political parties or governments. The striking worker, once he ceases work, must face such problems as, “How shall we pay the rent, how buy groceries, how renew the kiddies’ shoes?” It is not then natural that he should look to his union for the payment of a little strike benefit? He has paid, perhaps, two shillings a week for ten, fifteen or twenty years and drawn out not a penny. He has been told by his ‘leaders’ that the union’s funds add up to five or six million pounds. They told him that it was wise to pay his union dues to meet such a need as this. Unhappy man, to expect anything back from the clutching hands of bureaucrats. First of all he will find that the strike is termed unofficial (more than 99% of strikes are “unofficial”, in peace as in war). It may be in defence of some trade union agreement, it is probably in defence of wages, it will most certainly be just that case for which the worker has paid his trade union contributions. Nevertheless, down to the district or factory will come the trade union officials to condemn the strike. First will come a lesser bureaucrat “Lads, I sympathize with you. You are right, but I have my duty to do. You must go back to work!” Next comes the big boss. He does not waste time on euphemisms or good manners. The strikers are a bunch of scoundrels led by agitators and Anarchists, he hints darkly that if they don’t go back to work he will call the police and in any case they won’t get any strike pay so they will be starved back. The trade unionist is in a dilemma. He knows that the strikers, assembled at their place of work, are the ones to decide when to strike, when to pay benefits and what shall be official and what unofficial. But, nevertheless, he wishes the workers’ organisations to be so linked that they present one solid, nation-wide front against the common enemy. He does not wish to see the labour forces split into a thousand small units to be tackled one at a time by the boss, and, too often, he believes that centralism is the only way of achieving this. We affirm that there is another way and deny that centralization achieves its claimed objective. Centralization takes control too far away from the place of struggle to be effective on the workers’ side in that fight. Most disputes arise in the factory, bus garage or mine. According to trade union procedure the dispute must be reported to the district office of the union, (and in some cases to an area office) then to head office, then back again, then the complicated “machinery for avoiding disputes” devised by trade union ‘leaders’ and the employers’ lawyers is set in its ball passing motion, until everyone forgets the original cause of all this passing up and down. The worker is not allowed any direct approach to, or control of the problem. We are reminded of the memoirs of a certain court photographer who was making a picture of the old Emperor of Austria to turn his head a little to the left. Of course he could not speak to an emperor, so he put his request to a captain of the court guard, who spoke to his colonel, who spoke to a count, the count passed the request to a duke and he had a word with an archduke who begged his Imperial Majesty to turn his head a little to the left. The old chap turned his head and said “Is that sufficient?” and the message trickled back to the photographer via archduke, duke, count, colonel and captain. The humble thanks travelled back by the same road. The steps of trade union communication are just so fixed. Centralization does not bring that class solidarity which the worker seeks. Decades of experience support us in this statement. The miners’ defeat of 1921, the betrayal of the General Strike of 1926 and the course of every strike since the last world war are evidence of this. Trade union machinists have “blacklegged” officially, on striking iron moulders, engineers on boiler-makers. Trade union transport workers have carried “blacklegs” to mine and factory. The National Union of Railwaymen have scabbed on the Society of Enginemen and Firemen. In every dispute, for one striker there are a score of trade unionists to supply the strike-breakers with power, transport, light, heat, communication and all the many means without which modern industry cannot exist. Even when the men concerned are members of one union “blacklegging” still goes on. The London busmens’ strike of 1937 was broken by the continuance at work of the trolley-bus and tramwaymen, members of the same Transport and General Workers’ Union as the petrol busmen who obeyed Bevin’s orders to remain at work. Had the transport workers obeyed their own class loyalty, had they controlled their own affairs, who can doubt they would have struck in solidarity with their fellow workers. How are we to achieve rank-and-file control of the union and yet gain the maximum co-ordination of the labour forces? Syndicalism solves the problem in a simple and straightforward way. The basis of the Syndicate is the mass meeting or workers assembled at their place of work, factory, garage, ship, loco shed or mine. The meeting elects its factory committee and delegates. The factory Syndicate is federated to all other such committees in the locality — textile, shop assistants, dockers, busmen and so on. In the other direction the factory, let us say engineering factory, is affiliated to the District Federation of Engineers. In turn the District Federation is affiliated to the National Federation of Engineers. Such federations are formed in each of the twenty-five to thirty industries and services — Rail Federation, Transport Federation and so on. Then, each industrial federation is affiliated to the National Federation of Labour, the co-ordination of all the workers’ forces. But how the members of such committees are elected is most important. They are, first of all, not representatives like Members of Parliament who air their own views; they are delegates who carry the message of the workers who elect them. They do not tell the workers what the “official” policy is; the workers tell them. Delegates are subject to instant recall by the persons who elected them. None may sit for longer than two successive years, and four years must elapse before his next nomination. Very few will receive wages as delegates, and then only the district rate of wages for the industry. We want none of the thousand a year trade union bosses. It will be seen that in the Syndicate the members control the organisation—not the bureaucrats controlling the members. In a trade union the higher up the pyramid a man is the more power he wields; in a Syndicate the higher he is the less power he has. The factory Syndicate has full autonomy over its own affairs. The district deals only with the general conditions of the district and industry; the national with those things which are generally nationally but not particular to the primary Syndicate. By such an organisation the workers would be able to express in deeds their solidarity with striking fellow-workers. The only hope of the greatest labour force being turned onto any dispute is that feeling of class solidarity. It is for us to allow it organisational expression. In the first article in this series published in the previous issue of War Commentary we outlined the Syndicalist organisation. First the assembly of workers and their job committees at their place of employment, factory, ship, mine, shop, office, etc.. Next the federation of factory or job committees of each one industry into a district industrial federation, as the Scottish Miners’ Federation, the Yorkshire Textile Federation, the Midlands Railmens’ Federation and so on for each industry and each economic district. From these come the national federation of each industry, road transport, engineering, distribution, building, etc.. Then all national industrial unions of syndicates are federated to the National Federation of Labour covering the whole economy of the country. In the other direction, each factory meeting and committee is affiliated to the local council of syndicates, somewhat like the familiar Councils of Action, though much more thorough. In our first article we applied the Syndicalist principal of organisation to the present stage of the class struggle alone. But the same principle is applied during the Revolution when the class struggle bursts its normal bonds of social restraint and the two classes confront one another over the barricades. The factory, pit and other job organisations take possession of the places of work and operate them for the Working Class and cut off the supplies and services of the Employing Class. The millers supply the flour to the bakers, the bakers distribute bread to the people. The power station workers send electric current to the factories while receiving coal from the revolutionary miners. The Farm Workers’ Syndicate collects food and sends it to the towns; the Municipal Workers’ Syndicate maintains the essential services of town life and communications are re-established by the postal workers. Rail, road and water transport workers carry goods and services among the many industries and localities. At the same time the grip of the Syndicates upon the social economy prevents the Employing Class obtaining the essentials of existence. No food, no water, no gas, no servant for their homes. The more time they spend cooking or carrying buckets of water the less time they have for blacklegging or shooting workers. No trains, no petrol for their cars, no ammunition from the factories, no telephone, no newspaper to print their obscene lies. Other tasks are carried out by the various organs of the Syndicates, chief of these is the extension and defence of the revolution. The raising and arming of the Workers’ Militia is chiefly the work of the factory committees and the organising of Workers’ Patrols to guard against hooligans and counter-revolutionists is that of the local Council of Syndicates. Without goods and services to be bought, the check books of the capitalists become useless; they can no longer hire the services of thugs and blacklegs. With the triumph of the Revolution the functions of the Syndicates change and develop, but the constructional principle remains the same. The purpose of the committees and federations is now solely that of running the social economy, the industries and services. What men consume no longer depends on how much money each possesses or on the oscillations of the market, but upon what men need and the capacity of industry to meet those needs. The National Federation of Labour will meet quarterly, monthly, or at whatever intervals are found necessary, to consider the economic program. Guided by the trends in taste, the rise and fall of particular demands and information supplied by the Distributive Workers’ Syndicate they will form the program of each group of utilities. If 200,000,000 yards of wool textiles are likely to be needed for the coming year, then that task will be handed to the Textile Workers’ Syndicate who will divide the task among their districts. In turn each district will allot the share of the district task to each mill, according to the number of workers and the machine capacity of the undertaking. To the Clothing Workers’ Syndicate will be given the work of producing so many suits, coats, etc.. To the Miners’ Syndicate the responsibility to raise so much coal, the Iron and Steel Syndicate so much finished metal, the Wood Workers’ Syndicate so many articles of furniture. Through the same channels will be expressed the needs of the Syndicates as well as the needs of individuals. The Iron and Steel Syndicate requires ore, limestone and coke. The Construction Syndicate needs timber, brick and cement. The economic council of labour makes possible complete economic planning instead of the present chaos; it is the present capitalist system which has brought society to the greatest chaos, economic and political, ever known. The considerations of the national economic council will not, of course, be limited to one particular country. While each country and region will develop its own resources, as against the ways of international finance capital, there will remain many utilities which can better be made, or grown, in certain areas. It will be the work of the economic council to import such things, say oranges to Britain, and to export others, say textile goods or machinery. Let us here correct a misconception which may be creeping into the minds of some readers. Syndicalism is not nationalistic. The international character of Syndicalism has found expression in the International Working Mens’ Association, but historical conditions force us to fight within national boundaries and we do not determine the character of the class struggle. Nevertheless, Syndicalism seeks the complete abolition of national frontiers. Indeed, this must be the outcome of technological development if allowed to continue. The political organisation of society, that is the government of men by men according to territory, must give way to a social organisation based on the administration of things, men regulating machines and utilities in a world economy. The greatest tragedy of Europe is that complete economic districts are torn apart by frontiers which have no basis in science or nature. In the Mid-Rhineland the iron ore is on the French side of the frontier and most of the coal, coke ovens and power on the German side, yet one is essential to the other. Throughout Europe frontiers cut through railways, rivers, canal systems and electric transmission to the impoverishment of the Continent and the fruition of war. Left to normal social development rivers unite men in communities. London stretches along both banks of the Thames, Glasgow along the Clyde; the same is true of the Tyne, the Humber and the Mersey. But when men make frontiers they so often use rivers, not to unite, but to divide men. Rivers like the Rhine and the Danube, along whose banks great communities have grown, have been used as frontiers. Workers have been cut off from their employment and merchants from their trade. Families have been divided and towns ruined by the capricious boundary makers who call their crimes a peace conference. The conflict of technics and politics threatens to make life impossible. Once one might say that Europe was one and stop at that; now one must say the World is one. Technics enable us to travel across the Continent in a few hours or encircle the earth in a few days or send a message around its girdle in a few minutes. But politics works the opposite way. Even in peace time it took many days to travel across Europe. Even with the most expensive mode of transport, because of the obstacles placed in one’s path by political organisation. Just before the last war, even with countries having a thorough passport system, few obstacles stood in the traveller’s path. But just before the present war the barriers had grown enormously. To stricter passports were added visas, the customs were increased and an entirely new kind of money customs invented. As technology progressed, politics retrogressed. The final stage of the conflict of technics and politics comes when the latter, dividing men unto death, utilizes the former for the construction of tanks, guns and planes to the destruction of the social economy. It is the aim of Syndicalism to sweep away all frontiers, to untie humanity in a World federation of producers and end poverty, oppression, exploitation and war. In this study of the wages system we are not concerned with some imaginary system which does not, has never, and is not likely to exist. Nor shall we discuss what would be the effect of the wages system if it were entirely different. We are content with the scientific method of observing what exists and from careful observation forming our generations. This is economics, not metaphysics, and economics ought to be objective. Primitive men seeing lightning and hearing thunder imagined them to be the signs of an angry god. The growth of scientific knowledge dispelled this view and enabled man to control this force. We do not seek to explain economic manifestations by referring to good or bad employers or good or bad governments. We seek nothing less than the abolition of the wages system, for it is the system which is wrong. Without a knowledge of social economy we are as the savage facing natural forces. With knowledge of the subject we can control our social course. We live in a commodity society where everything is made for sale. In other societies this was not the case. Savages and barbarians gathered or grew food for their own use and not for sale; built houses to shelter themselves and not to rent. Truly medieval society produced most things for consumption in the immediate locality, and even household, and sold only the surplus. Capitalist society, however, produces everything for a market. The coal-owner is interested in the production of coal, not for his own hearth, but to put upon the market. The mill initiates the manufacture of cloth not, like those of old, because he needs a coat, but to sell the produce on the market. Everything is capitalism is for sale. Books and beer, coal and cosmetics, horses and haberdashery. And not only manufactured goods, but every human relationship is offered for sale — politicians and patriots, love and friendship, art and science, and (see Major Barbara) even the soul’s salvation. Thrust, at an unripe age, into this World market, the worker, the proletarian, the man without property, finds he can live only by selling and buying. But what has he to sell? Without patrimony, having no goods and lacking access to natural resources, he must sell the only thing left to him, his labour power, his ability to work. He sells his time, portions of his life. That part of his life which he hires to his employer, eight, nine or ten hours a day, is not his, he has sold that part of his life. And the price of this labour commodity is called wages. If we consider how the price of a commodity is arrived at we shall understand the nature of the wages system. In a free market the final factors in fixing prices are supply and demand. Of course there are substantial economic reasons for the existence of any supply or demand, but for the purpose of this article we shall be content to consider the final factors. We all know if a certain commodity is scarce and the demand is great the price tends to rise sharply. If there is a glut of another commodity and a small demand (as herrings in the height of the season) the price will fall, if the free market exists. Wages too, are so regulated in a free labour market. If labour is relatively scarce and jobs are plentiful, wages rise; but when depression comes and jobs are scarce and millions of unemployed seek jobs, then wages fall. The same principle applies to particular industries and jobs. A certain industry, as engineering in the twenties of this century, may have more workers than jobs; then wages fall in that industry. Another industry, as the building trade in the twenties, may have almost more jobs than workers; there, wages will, compared with other industries, rise. Another example we shall take is that of the craftsman. Before the war of 1914-18 craftsmen received wages about double that of labourers (Provincial engineering craftsmen 37 to 39 shillings per week; their labourers 18 shillings per week). Now some persons believed the employer paid the craftsman double the labourer’s wage because he admired his skill. Some even believed that he did it just to make the workers jealous of one another. The truth is that the employer could not hire men at less than the market price of 37 shillings per week. And if he paid more than he needed to he would soon cease to be a capitalist. A worker does not pay 10 shillings for an article whose market value is 5 shillings nor can he hope to obtain it for 2 shillings and 6 pence. Likewise the capitalist does not attempt to put himself out of business by defying the principles of economics. The truth of the foregoing is testified to by economic tendencies during and after the last war. Engineering employers successfully sought to lessen the demand for craftsmen by creating semi-skilled and unskilled jobs through the further subdivision of labour, by developing the use of machinery and the use of war-time dilutees, and breaking down the old time apprenticeship custom. At the same time the wages of many unskilled workers were creeping comparatively upwards by the slackening of the supply of cheap unskilled labour much of which had come from oversees, as Irish labour in the chemical and constructional industries and Polish labour in the Scottish mines and jute mills. Further, certain sections of unskilled labour combined to limit the supply of labour to their job, as the dockers. So the tendency of economic development has been to greatly lessen the 100% gap between skilled and unskilled labour. I have known highly skilled craftsmen who threw up their engineering jobs at 1 shilling and 2 ½ pence per hour to take employment as dockers at 1 shilling and 6 pence per hour. The development of the wages system has almost completely destroyed the craftsman myth. Let us here generalize our views of the wages system by declaring that in a free market wages rise and fall with supply and demand. The worker may by strike action increase the one or lessen the other, but he cannot change the general tendency. During trade depressions the Employing Class allows the free labour market to operate, but during great labour booms, as in the present war, they seek to close the free market by the use of such measures as Bevin’s Essential Works Order. Thus while the worker may, once or twice in his life enjoy a boom period, the general tendency of the wages system is to push him down to subsistence level; that is, to allow him little more than sufficient to fuel himself for the performance of his master’s work and to raise more little wage slaves to replace him when he wears out. Rather than oppose the wages system reformists have proposed modifications and additions which leave the system substantially intact. The wages system mocks reforms. Let us consider a few examples of reforms which have but strengthened it. Free education has been on every Socialist reform list from Marx and Engels’ Communist Manifesto to the latest Labour Party election program. Such free education as the State supplies has benefitted the employers, not the workers. More general elementary education has increased the supply of apprentices and shop assistants. Scholarship matriculation has produced cheap clerks and vacuum cleaner salesmen. Working Class access to university degrees has lowered the wages of thousands of technicians to that of general labour, as the Association of Scientific Workers so often testifies. Pensions are another good old stand-by of the reform merchants. Some years ago the granting of 10 shillings per week pensions to State-insured men over 65 years of age was hailed as a great step to the millennium. But the worker of 65 could not live on 10 shillings a week, he must continue work and many employers quickly reduced the wages of such men by 10 shillings per week. It was useless to try to disguise one’s age for the State issued special insurance cards to the 65’s and over. The 10 shilling pension went to the employer, not to the worker. It was the same in the case of war pensions. From the end of the last war to the beginning of the present armament boom, one might read any Labour Exchange advertisements of jobs which ended “For disabled ex-service-men only” or “Only men with disability pensions need apply.” It was not gratitude to the men who fought which led certain employers to insert such clauses in their wants. A glance at the wages offered soon convinced us that only a man with a pension could hope to live on such work. The employer was the true recipient of the ex-soldier’s pension. We all know cases of ex-policemen retiring on pensions and sharply competing for the jobs of public house managers and night-watchmen. One further example of the negation of reforms by the operation of the wages system. There have been many attempts to raise or pay wages by Acts of Parliament and trade Boards, but the solid fact remains that in the trade and industries affected wages fall during depression as they do in uncontrolled industries. To prove this one could produce enough statistics to fill a hay wain. Not only reforms but other doubtful forms of progress fail to benefit the wage worker. New machinery, which by increasing production, ought to enrich the worker and lighten his toil serves only to enslave and impoverish him. Let us imagine the case of a factory owner who employs 100 men working on 100 machines. New machines which can produce twice as much are introduced so that 50 men may do the work previously performed by 100. In a saner society the 100 would cut their working hours by half or increase their income by 100%. Not so in this case. 50 workers are sacked and swell the ranks of the unemployed. The remaining 50 dare not demand a share of the increased productivity because of the threatened competition of the 50 unemployed. Indeed it often happens that the retained machinists are faced by a wages cut. It is not obvious that there is no hope of any substantial or permanent improvement of workers’ conditions so long as the wages system exists? Lest some of our readers are yet unconvinced, let us examine the progress of the wages system over the greater length of existence. Bourgeois economists usually point to the period of 100 to 150 years ago and contrast it against to-day, crying, “Look at the wonderful progress we have made.” They attempt to conceal the fact that at that period labour had sunk to its lowest economic level of more than 1,000 years. During the period in question modern British capitalism was getting into its full stride and in order to attain speedy supremacy reduced the workers and peasants to almost unbelievable depths. To get a true comparison of the progress of the wages system we must examine a longer period. Let us look back 500 years. Professor Thorold Rogers, M.P. in the best standard work on the subject Six centuries of Work and Wages in illustrating the wages of the mid-fifteenth century takes as example a recorded building job at Oxford 1449 to 1450. The head mason was paid 4 shillings a week and the other masons 3 shillings 4 pence a week. What could be bought with the 4 shillings or 3 shillings 4 pence then? Thorold Rogers gives a list of average prices for those years. Wheat 5 shillings 10 pence a quarter; oatmeal, 5 shillings; beef 5 shillings 1 penny the hundredweight; mutton 4 shillings 6 pence; pork, 5 shillings; geese 4 pence each; fowls, 1 1/2 pence each; pigeons 4 pence a dozen; candles, 1 shilling 1 penny the dozen pounds; cheese, one-third of a penny a pound; butter, 1/2 penny a pound; eggs, 5 3/4 pence for 120; firewood 1 shilling 10 1/4 pence the load; shirting, 6 pence a yard; and cloth 1 shilling 5 1/4 pence; Thus, a week’s wages could purchase 112 pounds of beef, or 12 geese or 96 pounds of butter, and so on. Rent, now the largest item in a worker’s budget, often one third of his income, was in the fifteenth and earlier centuries, about a halfpenny or less per week. The peasant for 2 shillings a year rented a cottage and very large garden; he had also a share in the common pasture; he was able to keep poultry, pigs and a cow. He had the concession of collecting loppings and wind wood from the woods. Rogers demonstrates that the working day was of eight hours. “The artisan who is demanding at this time an eight hours’ day in the building trades is simply striving to recover what his ancestor worked by four or five centuries ago.” Nor was the work very hard or wearisome, for tired or hurried men cannot produce good workmanship. Almost alone among the movements claiming the support of the workers, Syndicalism opposes the wages system. While Marx opposed the wages system, most of the parties calling themselves Marxist or Socialist support it. The Communist Party approves of it, and calls upon Marx to witness their orthodoxy, while in Soviet Russia the wages system has been extended, consolidated and become more extreme. The Independent Labour Party has never advocated its abolition. On the contrary the I.L.P. at one time advocated a “Living Wage Policy” which they alternatively called “Socialism in Our Time.” The Labour Party has never looked beyond nationalization of certain industries on the Post Office model. Now, even that is modified to “public utility corporations” on the lines of the London Passenger Transport Board, their own creation. Syndicalism fights against the existence of the wages system, against a method of distribution based upon mens’ market value and for a society based upon their needs and the infinite capacity of society to satisfy them. Two features of capitalism are essential to its existence—the wages system and a thorough and all-reaching system of money relationships. Unfortunately men are now so used to living by money that they find it difficult to imagine life without it. Yet it should be obvious that no libertarian and equalitarian society could make use of money. Syndicalism, as well as ending the wages system, also aims at the destruction of money relationships. Money, more than any other human product, has been the means of creating false values. We each know of persons who began by wanting money as the means to other ends, but who spent so much energy accumulating money they forgot their original aim and continued to live for money. For means become ends. Is it not obvious that the wealthy trade unions, which have collected hundreds of millions of pounds by the promise to pay strike and other benefits, are now capitalist investment trusts afraid of strikes which threaten their investments? Socially too, money creates its illusions, giving a false notion of progress. We are always hearing of the great progress that is being made in the Twentieth Century, and the advance in workers’ wages is often cited as example. Everyone knows, of course, that prices have advanced with, or before, wages. Yet, because the advance is gradual, such is the illusion of money, that few realize how small is the progress made. A few days ago I listened to a conversation on soldiers’ pay. All agreed that the private soldier of 1943 with his 2 shillings and 6 pence a day was immensely better off than the soldier of 1913 with his 1 shilling a day. True, prices were higher, nevertheless 2 shillings and 6 pence is considerably more than 1 shilling. Let us see. The soldier spends his half-a-crown on small pleasures and refreshments. We shall compare the cost of these now and thirty years ago. As to snacks, always important to barracks-fed soldiers, in 1913 these cost a few coppers a time. Now, nothing could be more imprudent than the prices of indifferent meals so often served to service men, especially in the West End. And in 1913 public houses usually supplied free counter snacks of cheese, biscuits and pickles, and often beef sandwiches. No, the advice of the soldier’s wage is just another example of the money illusion. Money has developed out of all resemblance to that simple medium of exchange which our ancestors used to displace barter. Certainly it was more convenient than barter. But, whereas money once had a real economic value, a golden sovereign having twenty shillings worth of economic value, just as twenty shillings worth of shoes, now, money being paper and adulterated metal having no real value. Being economically worthless, it is potent as a deceiver of the workers, a source of illusions and false values, a hatcher of Beveridge plans. Even at the paper money stage the monetary system does not halt its development. Now, big money transactions usually mean a new entry in another set of books. A big insurance company may subscribe #100,000,000 to a War Weapons Week without a dime leaving the bank. Yet it is to this book-keeping trick that we are slaves. By such manipulation they can (and are now so doing) cause inflation and gobble up the savings of the Petty Middle Class or the more fortunate workers. By this method they may, and do, reduce to a fraction the obligations of the insurance companies and gain control of smaller businesses. The so-called “War Debt” is the greatest of all money tricks. There is no real wealth except that which is produced by labour applied to natural resources. Now every gun used, every bullet fired, every bomb dropped, has been paid for by human labour. One cannot borrow human labour from the future. In true economics there is no “War Debt.” Yet, we owe thousands of millions for products of labour, and our descendants to the end of time must continue to pay usury on them. The harder we, the workers, toil producing planes and tanks and guns, the more money we owe as the price of these our products. It’s a great trick. The development of the money system has also led to that creation of modern imperialism, international finance capital, money, in the form of industrial loans. Putting it simply, an agent of certain industrialists goes to, say, a South American republic and points out to its rulers the country’s need of a railway and his employers’ fine products in that line. “Yes,” replied the South Americans, “We like your railways, but we have no money to buy one.” “That’s right,” replies our super-commercial traveller, “we’ll find that for you.” A loan, with a high discount and interest is floated on the London market and the South Americans buy the railways with borrowed money. So far, so good, but interest has to be paid and, as the finance capitalist is not content, as we often are, with pieces of printed paper, goods are exported to Britain to cover the money bills. As most of the goods will be agricultural products it should be obvious that British agriculture must suffer to allow the foreign products of the international finance capitalist system to be dumped on the market. This has led to a strange corruption of public taste. Even in peace time I have seen country-women returning from town, with foreign machine-skimmed milk and margarine from West Africa in their baskets! A little while ago I picked up the menu in a London restaurant and was delighted to find spiced ham on the list. To me that meant the hams cooked in delicate spices, once so well known in Northern England. Of course I ordered the delicacy, but lo and behold it was just our old friend Spam! Pickled, yes in obnoxious chemicals. Oh! The odium of being pickled in sodium. Eggs, which were once those lovely white and gold things from shells, are now powder from a carton. Just as good as the real thing. Official, M. of F.. In a few years’ time real eggs will be as strange to us as are bananas to war children and the taste of one will probably make us vomit. Still, exported capital and its system must have their return. Great are the sacrifices that money demands. We have seen miners in Durham who, because they were out of work, shivered over the embers in their grates because they lacked the money to buy coal. Yet they sat above the richest seams in the country. We have seen textile and clothing workers in the West Riding without overcoats in winter because they had not the money to buy their own products. We know farm workers who have starved because unemployment meant they lacked the money to buy the food their labour might produce. There is no economic wealth except that produced by labour applied to natural resources. Let the miners produce coal for their own and their fellows’ use; let the textile workers produce cloth and the farm workers food for societies’ needs without regard to money relations. Only thus can we conquer unemployment without going to war. We know that it is hard for men who have always lived in a money society to imagine a life based upon natural principles, but consider, had we been born into different circumstances it would be difficult to imagine life without money. I suppose most of our readers saw the film Mutiny on the Bounty. They will recall a certain incident in the film. The mutineers having landed in Tahiti are welcomed by the natives who give them food, drink, and huts to live in. A pleasant life in return for a little labour. Christian, the rebel leader, wishing to show his gratitude gives the native chief a large coin, a piece of English money. The chief, puzzled, asks its purpose. Christian explains that in England all food is stored in shops and to obtain it one tenders money. “And if you have no money?” asks the chief. “Then you get no food,” replies Christian. “And if you have no money you starve?” returns the native. “Yes, you starve,” is the reply. The rapid development of World capitalist production reached a critical stage at the end of 1929. In the first half of the thirties decade the machines were over-flooding the warehouses with every kind of commodity, shoes, clothing, books, metals, timber, hides; newly launched ships were left to rust on the beach without a maiden voyage; stacks of food were burnt or piled for the rats to harvest. As the commodities accumulated factories closed and farms were abandoned; millions of men and women joined the unemployed queues. For the people did not possess sufficient money to buy back the goods they produced. It is futile to say, “Why cannot the workers be given enough money to buy back the goods they produce?” for, as we demonstrated in a previous article, the wages system prevents the worker’s income increasing with his productive power. Given the capitalist system, there was only one way to employ the idle capital of the World. To turn it to war production; to producing shells and bombs instead of boots and food. To distribute them free to enemies and allies alike by dropping them on their cities. The other alternative was to end capitalist and state-socialist distribution and, continuing to make useful commodities, distribute them freely according to the needs of each. For the productive capacity of modern industry is such that everyone may have enough of the very best of food, clothing, housing, books and all the good things of life by the useful labour of each for a few hours a week. But it can never happen within the bonds of the wages and money systems. The Syndicalist mode of distribution, then, causes the abolition of these systems and establishes the principle of “to each according to his need.” Not according to the amount of money he has, or according to rank or birth, or according to strength or cunning, but according to need. There is more than enough for all, so why should any go short? It is often asked (I cannot tell why) who shall determine the nature and limits of a persons needs? Obviously the person himself. If a number of us sit down to dinner at a common table, one may eat twice as much as the average person, another only half as much, but no one is troubled about this. It is left to each to judge the capacity of his own stomach. So let it be with all utilities. One needs more food than another. One man has no child, another a few children, yet another, many children. Each will have greater or lesser needs than his fellows. Utilities must be free to all. Socialized production demands socialized consumption. Every society has had some degrees of this mode of distribution. Primitive society a great deal, capitalist society very little. Nevertheless modern capitalist society does give us a glimpse of the principle of free access to goods and services. A hundred years ago many roads could only be travelled on payment of a toll, and some such still exist in England. But now most roads are free; each may travel them little or much, according to his own estimate of his needs. The same is true of bridges and even some ferries. We have public parks, museums and libraries. Is anyone upset if someone sits in the local park all day and every day, while another never enters it? Does a man worry that he never reads a book while his neighbour brings home two or three from the public library twice a week? It is often said that if food were there to be taken some would eat too much. They might the first time, but I doubt if they would keep it up. Water is free, not in the sense that it is not paid for, that is gratis, but its personal consumption is unrestricted. Some drink about a pint a day each, a few several pints, while a few of my friends refuse to touch it, believing it to be a dangerous liquid which even rusts steel and rots shoes. Yet no one abuses the drinking of water. No one hoards it; accumulating buckets and barrels of it in garret and cellar. For each knows there is plenty for him when he needs it. If bread were free would our attitude to it be different? Would anyone try to eat half-a-dozen loaves a day? It will readily be seen that such a principle of distribution can only be applied when there is a sufficiency of production. If everyone’s need of butter is 8 ounces a week and the stock available allows only of 4 ounces per head per week, then, obviously, another principle must be applied. While capitalist production is enormously high, most of it is designed for the manufacturer if hardly useful, and even harmful, products. Until the Syndicalist productive organisation has brought order to the present chaotic industries, distribution must be equal between individuals. Of course, that does not mean that all will consume the exact amount of each particular commodity or utility, but that each shall have an equal share (choice of variety being left to each) of the aggregate of goods available for distribution. In the case of certain goods being in very short supply the principle of rationing must be applied, but, let us make this clear, this case has nothing in common with the present system of rationing. The basic principle of the present government’s rationing system is not the equal division of goods of which there is a natural shortage. There is no equality. If a person has a great deal of money he may buy whatever rationed goods he needs, even without breaking the law. On the other hand of a person be poor, and this is the case with hundreds of thousands of working people, he may be unable to buy his full ration, particularly of clothes. Nor is the present rationing, in most cases, the result of shortage. It is an attempt to force the purchasing power of the people from the consumption of useful commodities to the production of munitions and government apparatus. In the case of certain goods which are in very short supply, these would be reserved for those especially needing them. Black grapes were once associated with sick beds, but no invalid worker may now buy them at the present price of 23 shillings a pound. Nevertheless stout and hearty bourgeois may eat them to surfeit. While Syndicalism would divide equally the social income and ration equitably goods in shortage, the productive power would be immediately reorganised and set in motion to cure the shortage and then create such a plentiful supply of goods as to enable the social distribution to be accomplished. Although we could not obtain at once the principle of “to each according to his needs” in all things, yet with some goods and services it would be possible to do this at once. The two principles we have outlined would, for a while, continue to exist side by side. The few cases of free distribution now existing would continue to exist and would be extended. All roads, bridges and ferries would remain free. Parks would be extended and multiplied and to them would be added the public access of moorland, mountain, stream and seashore. Public libraries would be increased and made into cheery, comfortable homes of books, instead of the ill-assorted collections of shabby volumes stores in mausoleums they now are. The same principle of distribution would be extended to other goods and services, two or three, or even half-a-dozen at a time. Speaking personally, I believe the change would be much more rapid than most would dare to believe possible. Cases for the early application of the principle of free distribution will readily occur to all of us. Postal service, travel and education are obvious examples. House rent is another. On the outbreak of revolution everyone will, naturally, cease paying rent. After the revolution it is unlikely that they will return to their former habit of sustaining the landlords. It is often asked, “but what if someone wanted a luxury steam yacht or a one hundred roomed mansion?” Well, such things are the product of social labour. At present a rich person may, by his use of money, force others to build him a steam yacht by keeping other employment from them. Under Syndicalism this would be impossible, and it is improbable that any greedy, selfish person would be able to kid a shipyard full of workers to build him a ship for his own hoggish self. There would be steam luxury yachts, but they would be enjoyed in common. I apologize for introducing this question but it is a familiar friend at many of our meetings. Whether you accept our view of distribution or wish to retain the present will depend on whether you are a “practical” person or an idealist. If you are “sane, level-headed and practical” you will want to live in poverty, dirt and ugliness. You will wear cotton suits and paper shoes; you will grow dyspeptic on a diet of cabbage and starch; you will work yourself to death in a factory or allow your body to be used as common meat. All in order that you may destroy the homes and cities of your Continental neighbour, while he, moved by the same “practical” principles, destroys yours. But, if you are an “idealist and a dreamer” you will object to living on a poverty standard in a world of plenty. You will choose to enjoy your full share of the good things of life. You will build cities instead of destroying them and heal and make happy your neighbours instead of maiming and killing them. You will play your part in the building of the New World which is not only possible but whose coming is imperative. In the present conditions of class struggle the Syndicalist distributive workers are organised in the same principles as the factory and other industrial workers. The basis and control of the organisation is in the meeting of the workers at their place of employment where their job committee is elected. Thus each large store would have a House Committee. In the case of smaller individual shops, as these are usually found in groups (as grocers, chemists, butchers, bakers, etc.) About cross-roads or minor thoroughfares, workers from each shop would meet to elect their group committee. Similarly the warehousemen in the wholesale trade would elect their warehouse committee. As in the case of all other syndicates, the shop committees are federated to the local Federation of Syndicates, representing all Syndicalist workers in the locality. In the other direction, the Shop Committees are federated to the District Committee of Distributive Workers, and the District Committees to the National Council of Distributive Workers. The National Council is, like other syndicates, federated to the National Council of Labour, which brings together and co-ordinates the whole of the Syndicalist forces. The work of the Distributive Syndicates is, of course, not only to wage a struggle for better working conditions and higher wages, but also to prepare for the taking over of distribution by the workers. To that end the Syndicalist shop and warehouse workers study their trade. They observe and discuss where such and such commodities are stored and how they could be distributed more justly and with greater efficiency. This task is urgent, for workers must be fed during the General Strike and Revolution. The Spanish Syndicalists acted in this way. The bakers of Barcelona, before the Revolution, knew the locality and amount of all stocks of flour, and the oven capacity of the city’s bakeries. On the glorious 19th July, 1936, when the revolutionary workers of Barcelona went to the barricades, their baker comrades ensured them and their families’ bread. The Peasants’ Syndicate co-operated with the Distributive Syndicates in the collection of food in the country and its distribution in the towns of Catalonia. During the stay-in-strike of the Italian engineering workers in 1920 the peasants’ syndicates, the distributive and transport workers and the co-operatives combined to supply food to the strikers who held the factories for four weeks. In Britain the workers in the mining areas, particularly Durham, have shown they can feed the workers by collecting food and running communal kitchens during as strikes of three, four, six months or even longer. The workers can and must ensure their own food supplies in strike and revolution. The Revolution accomplished, the Distributive Workers’ Syndicate will, of course establish liaison with the productive syndicates most closely related to it; Farm Workers, Food Preparation Workers, Wood Workers, Textile Workers, Clothing Workers, Leather Workers, Printers and such. It will be understood that the Syndicalist method of distribution, like the Syndicalist method of production, has nothing in common with the principles of political control advocated by most Socialists and even by most politicians of all brands in modern times. Political control means control first of all by Cabinet Ministers who usually have no experience of the technique they claim to direct. A country squire is made Minister of mines, a lawyer Minister of Aircraft Production, a political journalist is made First Lord of the Admiralty. In municipal affairs, parsons, butchers and publicans pretend to run the trams, supervise education and manage the drainage system. Government by amateurs! Instruction by the uninstructed! Distribution like industry is a thing of technics and requires direction by persons of experience, those who have given time and thought to the theory and practice of their craft. Distribution means more than standing behind a counter, handing over a packet of cigarettes and counting 3 pence change. Every shop assistant should be an expert at his job, and Syndicalism will give him the incentive to develop the interest which will make him an expert. A bookshop assistant should know something of literature and printing, a tailor’s assistant something of clothes, and a provision hand something of food, its care and attractive presentation. They should be able to make the best of the goods and advise the customer. Of course distribution involves much more than shop-keeping. Each centre of population has its warehouses while behind them are the special warehouses of the railway centres and docks. All these need a knowledge of certain technics. Meat refrigeration, banana ripening, ventilations of wood-ware and a thousand other problems require special knowledge and experiences. It is left to the reader to supply further examples from his daily reading and, better still, his observation. But, lest it is thought that all this is due to the difficulties of war-time, let us take examples from the first few months of war, when there was no air raid, no fighting on land, no labour shortage, and plentiful stocks of food abounded. The following is taken from a pamphlet Chaos on the Home Front published by the Co-operative Movement. Scunthorpe Co-operative Society had a very successful creamery. The society had some butter they needed but were not allowed to touch. They wrote a letter to the Minister saying that the butter was going bad and needed turning. The reply told them to send the butter to London, from there it went to South Wales. Was it fresh? The customers were. Experience of lecturing on the subject has brought to my notice doubts which I would not otherwise have believed possible, for most of these problems, questions of human and trade relationships, have already been solved, even under capitalism. The most frequent of these runs like this, “But how will the wishes of the consumer be met? What organisation will the Syndicalist set up whereby the consumer may express his preferences?” No organisation, I hope. Such a special organisation is about the least likely way of his wishes being effectively expressed. Better the way developed by the people themselves. Goods, as now, will be produced in great variety, for workers like producing different kinds, and new models, of goods. Now if some goods are unpopular, they will be left on the shelves to be devoured by mice and moths or embalmed by spiders. Of other goods more popular, the shops will be emptied. Surely it is obvious that the assistant will decrease his order of the unpopular line and increase his order of the popular. Every shop-keeper does that now and learns, often with uncanny accuracy, to anticipate his customers’ need. Even the newspaper seller at the street corner must anticipate so many of News, so many of Star and so many of Standard; to balance himself between extra customers and left-over copies. “But what if the productive syndicates refuse to meet the need of the consumers as relayed to them by the distributive workers?” cries our stubborn questioner, defending his last barricade. Well, it is something that just won’t happen. Everyone who makes something wishes that thing be useful and desirable. Man’s work must have social meaning, must be useful, or he is unhappy in his work. Some years ago it used to be said that one of the worst punishments of the military “glasshouse” was for a man to fill a wheelbarrow with lead shot, push it to the top of an incline then tip the barrow allowing the shot to roll back. He then descended and refilled the barrow, repeating the rest of the process. It was said that this meaningless task, like so many other military tasks, nearly drove the victims to madness. The lack of social meaning was the sting of the punishment, which must have been invented by a student of Dante. All these are small problems which we can safely leave to the day when they arise. It is for us now to determine the general outlines of the New Society and lay its foundations. It is possible that the further stages will be much easier and more satisfying than we, in the dull, grey age of capitalism, had dared to hope. In previous articles we have considered the vertical organisation of syndicates, from the factory or job committee to the district and national Council of Labour. We are now to consider the horizontal organisation, from the job committee to the local federation of syndicates. The workers of each factory, mine, shop, garage, or other place of work in any one town or locality are affiliated to the local federation. Thus, any city, town, or group of villages may have an organisation representative of engineering workers, railmen, busmen, teachers, shop assistants, tailors, municipal workers, builders, clerks, musicians and other workers. Certain localities will have delegates from dockers, seamen, miners and textile workers according to local constitution. However, besides the delegates of the industrial workers organised in syndicates at their places of work, there are delegates of other groups, the unemployed, housewives, and small groups of odd trades. The syndicates will endeavour to retain the membership of workers who become unemployed , unlike the wealthy craft unions which consider an unemployed man a liability. An out-of-work member will be thought of as, say, an unemployed carpenter, instead of just “one of the unemployed”. Where men are in and out of work continually this will not be difficult, but in “normal” times of depression there are hundreds of thousands of men and women who loose all touch with their previous job and organisation and fall back into the vast anonymous ranks of “the Unemployed”. It is the task of Syndicalism to organise these men and women to fight against their miserable conditions, to prevent their being forced into blacklegging, and to become part of the forces of emancipation. Where women are working in industry the syndicate organises them with the men, but millions of working women, particularly in certain parts of Britain, never return to industrial work after the day of marriage. Yet these women, who have no proper place in the orthodox labour movement, are at once a weakness and a great strength of the workers’ movement. They are a weakness in a strike if they do not understand and appreciate the issues; they can slowly and steadily sap the will to victory of their struggling menfolk. But, if they understand the issues, they are a tremendous addition to our battle forces, as particularly the women of the mining areas have shown. They can organise food collections and communal kitchens, nursing service, entertainments and propaganda. They can carry out boycotts and strike picket lines. The industrial North has shown that women can do the latter job as well as men. Without doubt our Syndicalist movement must organise the housewife as well as the industrial woman worker. As well as the factory committees, unemployed and housewives, the local federation of syndicates has to organise certain individuals and small groups who, because of the nature of their employment, cannot be organised in the syndicates of industry and service. Writers, artists, small dealers, odd job men and many others who have no syndicate will desire a part in the struggle. The local federation will organise them in local groups. The chief task of the local federation in present circumstances is the mobilization of all labour forces for strike action. In a rail strike they will ensure that busmen are not used against railmen. In a miners’ strike they will see to it that blackleg coal is not moved. The local forces of labour will be swung from sector to sector of the class front as the need arises. As a centre of strike propaganda, particularly in the case of small, “unofficial” strikes so familiar to us, the local is invaluable. Almost every such strike is greatly weakened by lack of propaganda and information issued by the factory strike committee, which usually lacks the means of propaganda. With a well-organised local, any strike in a factory, shop, or mine will be immediately reported to the local. Supplied with all necessary facts, the local operates its permanent propaganda and news service. Other jobs in the town and neighbouring locals are informed of the facts of the case. Public meetings are held and local bulletins issued. Unemployed and workers from other jobs swell the picket ranks. But the strike activity of the local is not limited to propaganda. Collections must be made to augment the strike pay. Perhaps it may even be necessary to organise the collection or cheap mass production of food, or the formation of communal kitchens. In the case of certain strikes the boycott is applied. In disputes of cinema or theater workers, shop assistants, newspaper printers or the employees of firms selling branded goods, the boycott is an effective weapon. The local form of Syndicalist organisation is not limited to cities and thickly populated industrial areas. The mining areas and the countryside also have their own type of local federation. In the country we usually find small villages grouped around a larger village or small country town. The same is true of the semi-rural semi-industrial mining areas. In these cases each village would have its sub-federation affiliated to the federation of the parent village, corresponding to the town federation. It is natural that the delegates of the local will desire to establish contact with the delegates of neighbouring locals. To this end the local federation of syndicates in any region is affiliated to a regional confederation of labour, as Clydeside, the North East coast, Birmingham, South Wales or London. The Syndicalist mode of organisation is extremely elastic, therein its chief strength, and the regional confederation can be formed, modified, added to or reformed according to local conditions and changing circumstances. The opportunities of the local federation during the revolutionary struggle are too obvious to need underlining: organisation of workers’ militia, propaganda, supplies and co-ordination of factory defence are the greatest of these. With the triumph of the revolution and the passing of the class struggle the local organisation of Syndicalism changes character and becomes the Commune, an organisation of people who live together, for the purpose of living together. The Commune will take the place of the present unrepresentative borough council. However, most of the functions of the municipalities will be carried out by the industrial syndicates. Local transport will be the responsibility of the Transport Syndicate, hospitals that of the Health Workers’ Syndicate, education that of the Teachers’ Syndicate, and so on. All of these services need men and women of experience, persons with some knowledge of the technical and intellectual problems, a knowledge not usually possessed by the typical town councillor. Local Education Committees, for instance are usually bossed by elder brewers, publicans, pork butchers, speculative builders, religious bigots and such like. Of course, the control of schools may be modified by the creation of teachers’, parents’, and scholars’ councils, but such problems are a matter of experiment; we are now concerned with the creation of working class organisation which can take over education at once. The abolition of the money basis of society will relieve the Commune of the chief task of the borough and county councils—the collection of rates. Nor will the Commune be concerned with running businesses, as many municipalities do, in order to gather profits to aid the rates. The Commune, a much smaller and more intimate and decentralized body than the borough council, will be entirely devoted to improving the communal life of the locality. Making their requests to the appropriate Syndicates, Builders’, Public Health, Transport or Power, the inhabitants of each Commune will be able to gain all reasonable living amenities, town planning, parks, play-grounds, trees in the streets, clinics, museums and art galleries. Giving, like the medieval city assembly, an opportunity for any interested person to take part in, and influence, his town’s affairs and appearance, the Commune will be a very different body from the borough council, which is largely an organisation for the protection of the big ratepayers, hobbled and controlled by the Ministry of Health from Whitehall. In ancient and medieval times cities and villages expressed the different characters of different localities and their inhabitants. In red-stone, Portland or granite, in plaster or brick, in pitch of roof, arrangements of related buildings or pattern of slate and thatch each locality added to the interest of travellers. Scotland, the North of England, London, the West Country and East Anglia, each expressed itself in castle, home or cathedral. How different is the dull, drab, or flashy ostentatious monotony of modern England. Each town the same. The same Woolworths’, Odeon Cinemas, and multiple shops, the same “council houses” or “semi-detached villas”, £50 down and 25 shillings an 6 pence for the rest of your life. North, South, East or West, what’s the difference, where is the change? With the Commune the ugliness and monotony of present town and country life will be swept away, and each locality and region, each person will be able to express the joy of living, by living together. The Syndicalist objectives we have outlined in previous articles will not, of course, be carried out without arousing the fiercest opposition and most bitter hatred of the employing class. The expropriation of that class, the control of industry by the workers, the abolition of money and the wage system and the establishment of the principle of each according to his need can only be when we are prepared for the most revolutionary of struggles. 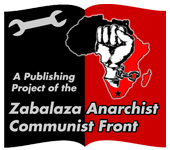 Our first weapon is the highest technical development of the principle of non-co-operation; cutting of economic supplies and services from the employing class and switching them to the workers; generally, refusing to do any work for or co-operate in any way in the observation of the laws and orders of the employers. We do not need to be warned that the enemy will not, if our forces be weak enough, willingly accept this new condition. We know he will if possible use against us the armed forces, the police and Fascist bands. But, acute social problems, particularly in the 20th century, sweep across the whole population including the armed forces. The Revolution will have as many adherents within the armed forces as it will have in the civil population. Nevertheless, the Revolution must be defended, by armed force if necessary, against those remnants of the armed forces the enemy may rally and against Fascist militia, “Black and Tans” or whatever they may call the new counter-revolutionist army they may raise. To that threat the Syndicalist reply is the creation of the Workers’ Militia. The chief base of the new workers’ army will be their place of work, factory, garage, mill, pit or dock. There men know one other, know the man who is loyal to his class and he who might be a counter-revolutionist. Already a high degree of self and group discipline and of working and struggling together have been practiced. In the Spanish Civil War of 1936 the Workers’ Militia was largely based on the squad of ten men known to one another and choosing their own squad leader or delegate. The squads of ten men were united into centuries of one hundred men and seven or eight centuries formed into a column, all on the federal principle. The choice of the factory, etc. as the chief base of the Militia has an extra advantage in the present day warfare of highly mechanized forces. Thus, shipyard, dock and seamens’ syndicates form naval units; bus and lorry drivers — transport and mechanized units; miners, bridge builders and construction workers — engineer battalions and so on. Not only is the skill and experience already assembled, but, also, the necessary machines are at hand to these units. Further, an industrial population can be trained much quicker than an agrarian populace in the use of weapons, for a gun is just another machine. As to the arming of the workers, the approach of revolutionary struggles has always forced workers to acquire small arms in their own defence, for the impending struggle has usually been anticipated by Fascist squads, “Black Hundreds”, “Black and Tans” or other named terrorist bands of the ruling class. But such arms are few in the aggregate. The chief source of supply of modern revolutionary forces are the class conscious units of the army, and the factories. In modern revolutions the munitions factories take the place of the armouries and gunsmiths’ shops of the 18th and 19th centuries. Not only the munitions works, but every engineering factory, workshop or chemical works is turned to the manufacture or improvisation of weapons. Highly industrialized countries such as France, Belgium, U.S.A., Germany and others will not suffer the tragic lack of the means of forging arms suffered by agrarian, revolutionary Spain in 1936. Armchair Socialist theoreticians and Anti-Fascists will sneer at the Workers’ Militia and tell us that the barricades of 1848 are outdated, but revolutions have a way of taking these fine weather men unawares. Some years ago the celebrated Anti-Fascist and Liberal Professor Salvemini wrote a learned article against the principle of workers’ self-defence forces. He pointed out that the German Social-Democratic Reichsbanner, the German Communist Rotfront, and similar military organisations of the Liberal and Catholic parties in Germany had surrendered without firing a shot when the Nazis took power in 1933. Therefore, reasoned the learned professor, workers’ defence corps are useless. The advice of such gentle Anti-Fascist is to call a policeman. What the professor concealed was that the Social-Democratic Reichsbanner and the Communist League of Red Front Fighters did not fight because they were built upon authoritarian principles of order from above and rigid obedience to leaders. The Socialist leaders were too compromised by political practice to give orders to resist the Nazis. The German Communist leaders were under orders from Moscow, and Stalin wished to and did, make a treaty with the new Nazi Germany. It was not the principle of workers’ defence which failed, but the contrary principle of blind obedience to “leaders” and the subjugation of judgement and self-respect to that of “leadership”. Within a few years of Salvemini’s article came the Spanish Fascist uprising of July, 1936. The spontaneous uprising of the workers in defence against Fascism and the rapid organisation of workers’ militia, not authoritarian as the German, but federal and Syndicalist, blew to smithereens the learned discourse of the professor. Life is stronger than theory. The revolutionary workers everywhere in Spain were rapidly defeating the Fascists when foreign intervention, allowed by the Labour movement of the world, came to the assistance of Franco. The defeat of the revolution after three years of war was due to that, to the Franco-British policy of “non-intervention” which allowed arms to Franco, but prevented arms and war supplies reaching the republicans. The efficacy of workers’ militia as a defence against Fascist terrorism remains proved by the events of 1936. We shall anticipate the objections of the legalistic Socialists and Liberals who will be ready with tales of “the streets running with blood and corpses mountain high” by recalling that most revolutions have overthrown the old regime with the loss of a handful of men. The French Revolution of 1789, the overthrow of Tsarism and the October Revolution in 1917, the Austrian and German Revolutions of 1918, were accomplished with an almost unbelievably small roll of casualties. Of course, if the revolutionaries fight as do the professional armies of states, with a solid front and two armies facing one another with tanks, aircraft and big guns, the revolution would be quickly crushed. But, revolutions cannot be fought like imperialist wars; the social factors are greater than the military. Strategy, tactics and weapons must be designed to wage a social war without fronts. An excellent case of this is found in the history of the Irish struggle against the British Government during 1919-20 and 1921. The Imperialist forces were increased to about 100,000 men, army, Royal Irish Constabulary, Auxiliaries and “Black and Tans”, with resort to any weapon they needed and the experience of the World War behind them. The Irish Republican Army of about 10,000 armed with automatic pistols, revolvers, home-made bombs and a few rifles and machine guns defeated them by adapting their strategy and tactics to the social soil. Let no one mistake the Workers’ Militia for just another army. The Spanish Militia of 1936-37 had no officer caste or badge of rank, no privilege or special ration, no saluting. The ranks were filled, not by conscription, but by the revolutionary knowledge and enthusiasm of the workers. Love of the Revolution took the place of professional military discipline founded on the death penalty. The daily pay was equal to all whether the least experienced militiaman or Durruti. As well as the Workers’ Militia, other bodies of armed men were organised by the Spanish Syndicalists — Frontier Control Committees to prevent the flight of Fascists — and Republican Ministers and Workers’ Patrols to prevent disorder or counter-revolutionary outbursts in the towns and villages. It is obviously necessary for the Revolution to disband the instruments of the old regime, the judges, the magistrates and police. But as well as counter-revolutionist attempts, criminal and hooligan elements useless to anyone, may remain as the legacy of capitalism. Indeed the counter-revolutionists will encourage these by bribes, arms and alcohol. The Workers’ Patrols organised by the ward and town federations of the Syndicates will easily handle such who would overthrow or discredit the Revolution. It will be seen that these armed bodies of workers have no resemblance to the forces of the State — capitalist or other. The street patrols will be carried out in the workers’ spare time, like firewatching — only of his own free will. The factories and railways will be guarded by armed workers while doing their everyday work. They will continue to carry arms until the need has passed. Then, with no danger present, men will cease to carry arms as they ceased to carry gas masks when they found no danger of gas attack. But, if, instead of the general force of the workers, the Revolution gives birth to the special force of a new army, police and judiciary, a new state and a new master class will arise. If a new police force were created to arrest counter-revolutionists the policemen would naturally try to preserve their jobs even when the old regime had been crushed. Let us recall the story of Napoleon’s wolves. It is said that while Napoleon was Emperor the number of wolves increased in France, so Napoleon offered a large reward for each wolf’s head brought to the local authority. Wolf hunting became a lucrative profession until the wolves began to disappear. Fortunately for the hunters the decline in the wolf population was mysteriously checked and their numbers began to increase. Upon investigation the authorities discovered that, rather than lose their jobs, the hunters were breeding wolves and even shepherds had turned from their flocks for the more remunerative work of wolf breeding and hunting. For the defence of the Revolution there must be no new regular army, or police force, or officer caste, but arming of the workers. If the workers allow themselves to be disarmed, even in the name of the Revolution, then at that moment the counter-revolution has succeeded. In this series of articles we have outlined the aim and method of the Syndicalist Revolution. The aim — the abolition of privilege, private property, class society and the State and the establishment of the common ownership of the means of production. The method — the taking and running of industry by workers’ Syndicates, the abolition of the standing Army and other armed forces, police, judiciary, etc., and the creation of Workers’ Militia and other necessary working class organisation for the administration of society. But what do we immediately expect from the Revolution? Let us be clear. This is not a plan for society of a few hundred years hence. We are not making blueprints for our descendants to work to long after we are dead. What we here outline is possible immediately [ if ] the workers desire it and throw off their chains of illusion. It is the aim of that Revolution which already is stirring in war ridden Europe. Let us first consider the possibility of man’s labour if fruitfully employed. Even in peace time only a small minority of the population is engaged in useful work and even they waste much of their time because of out-of-date machinery and obsolete labour methods. If each did his share of work and took only what he could really enjoy (for who can enjoy a one hundred bedroom mansion or half a dozen motor cars?) It would be necessary to work only a few hours a week for all to enjoy good housing, clothing, food and all the good things of life. The Revolution would at once set about releasing this unmeasured human labour power. Every fit person would find a socially necessary job. Think of the millions now wasting their time! Capitalists, landowners, parsons, politicians. The domestic, club and restaurant servants of the rich. (Even in wartime one may see two able bodied men opening the double door of a Piccadilly club to allow another able bodied man to pass.) The millions of clerks, bankers and inspectors who count, check and re-check the business of the capitalists. The enormous tax eating Civil service. The half dozen milkmen in each small street, the vast number of unnecessary shopkeepers and assistants. The collectors and canvassers, the advertising men. All could do useful work and at once make a big stride toward plenty and leisure for all. Here we describe what we consider must be the immediate economic aims of the Revolution. WAGES. The abolition of all wages and the establishment of the principle of equal income for all. What that income would be cannot be expressed in money terms, the only terms known to capitalist society, but it should certainly be more than double the present average wage. WORK TIME. A six hour working day, a five day week and a month of holidays annually. OLD AGE, SICKNESS AND BEREAVEMENT. The most generous of proposals and “demands” for old age pensioners stop well below even the low wages of the workers. Aged workers should receive the same income and services as the younger population. The same is true of the sick and of widows and orphans. UNEMPLOYMENT. It may be that in the busy, early days of reorganising industry some workers may ind themselves temporarily out of work. Unemployment is society’s responsibility and the unemployed man should not be punished for it. The equal income of other members of society should be the right of the temporarily out-of-work while immediate effort is made to find him a job. We do not believe that any worker will want to shirk his part of the stirring movement of social reconstruction unless he is psychologically ill. In any case a job will soon be found and personal adjustment made. It is the capitalist system, alone of social systems, which creates unemployment. Men are unemployed, not because there is no useful work to do, but because a profit cannot at the moment be made from that work. There is always a job to do in a community just as there is always a job to do in the home. FOOD. The production of a plentiful supply of the best food from our own land. This would need to be of such a character as to radically change the diet of the large majority of the population who eat much bread and too little eggs, fruit and milk. The production would greatly increase the supply of poultry, eggs, milk, cheese, butter, fruit, fresh salads and vegetables and fish. We would seek to do this by producing the vastly greater part of our food at home, enjoying it fresh and not robbing the peoples of other lands by forced imports of finance capital. To accomplish this we could recruit for the land an extra million workers from the useless jobs they now occupy. We would need to plough up the estates and pleasure grounds of the rich, to reclaim moors and hillsides and other lost land and increase the fertility of most of the present farm land. We would need to fertilize the land by the collection of that valuable “waste” we now throw away and turn the automobile factories to the production of tractors and other farm machinery. Private landlordism and rent being abolished no obstacle would stand in the path of this newly released social energy. MANUFACTURES. The Syndicates would be concerned with the immediate production of sufficient shoes and clothes to meet the reasonable needs of all, with enough house furniture for all and the multiplication of those thousands of goods, wireless sets, books, articles of toilet, sweets, etc., which make life more pleasant. As these flower from the factories in ever-increasing volume the standard of living of all would rise until human saturation point had been reached. But we are concerned not only with the quantity, but, also, with the quality of goods. Capitalism is the age of shoddy, and shoddy goods are waste. The poor are robbed twice; first from the wage packet, next over the counter by cotton and jute suits, starchy food, gimcrack furniture and leaky shoes. For the first time all workers will enjoy what is now the privilege of the well-to-do, the feel of good cloth, the firm tread of a well-made shoe and the pleasure of well-designed goods. HOUSING. The mainly empty houses of the wealthy must be requisitioned for the housing of the overcrowded. Those houses too big, or otherwise unsuitable for conversion to flats would be used as museums, hospitals, rest-homes and colleges. It will be urgently necessary to start the immediate building of several millions of houses to meet the shortage and clear out the slums and semi-slums. This much is easier than might be supposed for there would be no houses of the wealthy or palatial banks, brewers or insurance offices to build and cinemas would take second place. Consider the huge munition factories, the military camps and colossal aerodromes which have been built during the past four years and weigh them against three million houses. EDUCATION. Education will be free to all able to benefit from it and wishing to enjoy it, free from kindergarten to university. Classes would be smaller, equipment improved and new schools built. The recent trend of education from coercion and terrorism to freedom and co-operation of teacher and scholar would be accelerated. MEDICINE. Medical treatment would be free—medicine, attendance, clinics and hospitals. But the new society would increase the health of all, not by a new flood of physic, but, in main, by a better diet, right working and living conditions and the end of industrial fatigue. RECREATION. The new society would end the petty restrictions which curtail the enjoyment of our few free hours. Moral bigots and publicans close the theaters and cinemas on Sunday, the workers’ one free day. Thousands of restrictions prevent him enjoying his too short leisure. All these would bee swept away. Let each find his pleasure as he will so long as he does not interfere with the freedom and pleasure of others. These are the main tasks of our Revolution, tasks which can be accomplished within two or three years of the triumph of the workers’ forces. If you, clouded by the pessimism and disappointment of life under capitalism, doubt that statement, then take each item singly and consider, from your own observation and your experience of your job, “If the waste and profit are cut out, is this possible?” We have no doubt of your answer. And this will be but the beginning, but the foundation stone of a free and co-operative society! Do not ask of us, “How long will it take to persuade the workers that all this is possible and desirable?” Stop thinking so much of the apathy of the other fellow. When each worker asks the question of himself the Day has dawned. Aerodrome (or Airdrome) — the physical facilities of an air base; an army air corp base. Air force units were a part of the army in 1943 (when these essays were written). Anarcho-Syndicalism — Syndicalism; the Anarchist labour movement as characterized by labour unions and federations in Argentina (FORA), Bolivia (FLP), Costa Rica (HL), Chile (IWW), Denmark (USP), France (CNT), Germany (FAU), Guatemala (CAS), Holland (NSV), Italy (USI), Japan (JRDZK), Mexico (CGT), Norway (NSF), Paraguay (COP), Poland (ZZZ), Portugal (CGT), Spain (CNT), Sweden (SAC), Uruguay (FRU), etc..
Archduke — a prince of the former royal family of Austria. Articles — chapters; the chapters in Principles of Syndicalism were originally published in 1943, as a series of 9 articles in the periodical War Commentary for Anarchism. Articles of Toilet — see “toilet [articles]”. Biscuit — a cracker; a kind of unleavened bread (plain, sweet, or decorative) formed into flat thin cakes and baked until crisp. “Black and Tans” — British troops sent to Ireland to suppress the guerilla warfare of the Irish Republican Army during the Sinn Fein rebellion (1919-1921). They were convicted murderers and other violent criminals hand-picked from British prisons by Winston Churchill [Their uniforms were “black and tan”.]. Blackleg — a strikebreaker or scab. A person who make a living cheating honest folk. Borough — in England, a town with a municipal corporation and rights to self-government granted by royal charter; a town that sends one or more representatives to Parliament [see M.P. ]; in Scotland an incorporated municipality (a burgh); a municipality smaller than a city. Bosses — persons paid by employers to hire, fire, order about (tell workers what to do), spy upon, manipulate (persuade, deceive, de-humanize, humiliate, terrorize, divide and control), criticize, and penalize workers; managers [typically paid much more than workers and told that they are superior in order to buy their loyalty to the employer]. Bourgeois — characteristic of the “bourgeoisie”. Bourgeoisie — the middle-class; the social class between the very wealthy (aristocracy) and the working-class (proletariat). Boycott — a ban on dealings with a landlord, business, company, organisation, etc. ; a ban (often organised by workers involved in a labour dispute with an employer) on buying, selling, or using the products, services, or commodities of a company (often identified by the “brand name(s)” manufactured at workplaces they own); a primary boycott [the term is derived from Captain Boycott, an Irish land agent ostracized by his neighbours during the 1880 Land League agitation in Ireland]. A “secondary boycott” is a boycott organised against those who violate a primary boycott. Branded Goods — products marked or labeled with the trade-mark or name of the company which owns the factory or facility where they were manufactured [the trade-mark or name is called a “brand name”—the term is derived from the practice of branding animals with a hot iron to identify their owner.]. Busman — a bus driver or conductor. Cabinet Minister — in Britain, they are appointed from the members of the political party with a majority in the House of Commons (the lower house of the British legislature). Chemist — an apothecary or druggist. CNT (Confederación Nacional de Trabadores) — National Workers Confederation, the Anarcho-Syndicalist union in Spain during the 1936 Spanish revolution (Now called the Confederación Nacional del Trabajo). Workers in the CNT took over and ran a major part of agricultural and industrial production as well as public transportation and telecommunications. CNT workers’ militias fought the fascists (Spanish regular army troops allied with the fascist Falangé and regular military forces from Fascist Italy and Nazi Germany) to a standstill until betrayed by the communists. Coke — coal from which most of the gases have been removed by heating; it burns with intense heat and little smoke, and is used as an industrial fuel (e.g., used in the manufacture of steel). Council Houses — public housing projects; housing built by the government for the poor. Craft Union — a labour union to which only workers in a certain trade, craft, or occupation can belong; a horizontal union [as distinguished from an “industrial union”]. Craftsman — an artisan; one skilled in a manual occupation or trade. Crown — a silver coin of Britain equal to 5 shillings. Employing Class — commonly used to refer to the big capitalists; the capitalist class; the very wealthy [—including the portion of the hereditary aristocracy who survived the transition from an agricultural economy to a industrial economy.]. Engineman — an Engineer on a railroad train; the driver of a steam locomotive. Engineer [military] — a military unit trained in the construction and demolition of bridges (including portable temporary bridges), roads, and fortifications, the laying and disarming of land mines, etc. ; also includes special combat units for clearing enemy tunnels, bunkers, and fortifications. Fascist Militia — para-military organisations like the Nazi Sturmabteilung [“storming-party”—a military unit specializing in sudden attacks on fortified positions; shock troops] in Germany. They were recruited from among ex-soldiers, the unemployed and local “hooligans” [similar to racist skinhead gangs in the late 20th Century]. Federation — in the text, an alliance of member organisations which elect recallable delegates to a committee whose sole function is to facilitate the exchange of information for the purpose of coordinating the activities of its members, but with no independent or delegated authority (legislative, executive or judicial); a socialist labour federation [as described by Michael Bakunin in Federalism, Socialism, Anti-Theologism]. This is not a centralized organisation, as the term is often misused to describe a type of nation-state or government. Fireman — crew member on a steam locomotive who stoke the furnace with coal. Firewatching — in the text (during World War II) a patrol by a civil defence warden intended to spot fires caused by bombing or arson so they may be quickly extinguished by fire fighters (before they have a chance to spread). Flat — an apartment or suite of rooms on one floor of a building. Franco-British — French and British. Fresh [behavior] — rude; shameless; disrespectful of custom or authority. Garret — an attic; in a house with no attic, it refers to the rooms immediately beneath the roof. General Strike — in the text, a strike by workers of all or many of the industries in a community or country; also, a strike by workers of an entire trade or industry. Gimcrack — showy, but cheap and useless. Group-discipline — [should include] ability to work with a group; Do-It-Yourself (D-I-Y) experience [spontaneity, resourcefulness, creativity, flexibility in problem resolution]; verbal and written communication; co-operation; mutual aid; practiced working-relationships; conflict-resolution; social activity; expertise. This is not Marxist regimentation. Haberdashery — a store which sells men’s hats, shirts, neckties, gloves, etc..
Hobble — to impede [term based on practice of tying a horses legs together with a rope to impede its freedom of movement]. Hooligan — a brutal and violent person; a hoodlum; a street gang member; a ruffian. [derived from Hooligan, the name of an Irish family in Southwark, London]. In Italy, they were recruited by the Fascists to attack workers. In the U.S.A. they were frequently hired by capitalists as strike-breakers and to disrupt union organising. Hundredweight — in the text, a gross or long hundredweight used in Britain equal to112 pounds (lbs. ), exactly, or 50.802 Kilograms (Kg.) [as opposed to a net or short hundredweight used in the U.S. equal to100 lbs., exactly, or 45.359 Kg.]. Industrial Fatigue — to wear a worker out by overwork (similar to combat fatigue [—a psychoneurotic condition characterized by anxiety, irritability, depression, etc. caused by extreme exertion and lack of sleep in armed combat]); illness and other physical or psychological maladies occurring in workers weakened by overwork. Industrial Union — a labour union to which all the workers in a given industry can belong, no matter what occupation or trade; a vertical union [as distinguished from a “craft union”]. Jute — a plant fiber resembling hemp, obtained from Indonesian plants. Both jute and hemp fibers are used in manufacturing a variety of products which include clothing. Libertarian — Libertarian Socialist; Free Socialist; Anarchist. Local Education Committee — British equivalent of a School Board. Loppings — branches cut off of trees after they are cut down for firewood, typically discarded by the rich because they don’t look orderly when firewood is stacked for storage purposes; tree or hedge trimmings discarded by grounds keepers or gardeners. It was common for the poor to use what the rich wasted in order to survive [like collecting coal (fallen from trains) by the railroad tracks, or cinders (unburnt coal) form ash heaps, to burn to keep warm]. Lorry — a motor truck; a delivery truck. Magistrate — a Justice of the Peace; a judicial official empowered to judge only minor court cases. Militiaman — a worker who is a member of the volunteer military (not a professional or career soldier/sailor/marine/airman); a member of a volunteer military force without an officer corp where unit “commanders” are representatives elected by the unit members. In the 1936 Spanish revolution, men and women fought side-by-side in the militias. Moorland (or Moor) — a heath; a wasteland in the British Isles, often with marshes and peat bogs, sometimes set aside as a game preserve for hunting purposes. M.P. — Member of Parliament; a member of the House of Commons, the lower house of the British legislature [the upper house being the House of Lords, whose hereditary seats were abolished in 1999]. Muddle — bungle; jumble; to mix-up in a confused manner; to act or think in a confused way [in the text, the bizarre thinking and behavior of government bureaucracy]. Munitions — military weapons and ammunition; military supplies. Mutual Aid — the collective and concerted assistance or defence of a member of a group by other members of the group (i.e., one for all and all for one); the collective and concerted assistance or defence of a group by other groups; the essential function of labour unions as described by Peter Kropotkin in Mutual Aid: A Factor in Evolution (“Mutual Aid Amongst Ourselves (continued)” [London: William Heinneman, October 1902], Chapter VIII, et al..); public safety maintained by mutual defence rather than a coercive government apparatus (police, secret police, military, etc.). Nightwatchman — a nighttime security guard. Non-Co-operation — [should include] no communication with police; refusal of military service; organisation of mutual aid groups; increased participation in the informal and underground economies; community organising for greater self-reliance, self-sufficiency and political self-determination; organising workers councils within unions to restore democratic control. Patrimony — landed property inherited from ones father or ancestors; in the text, a reference to the fact that if you don’t inherit property (like the rich do) that enables you to live off the work of others, then you have to work for a living. Peasant — in the text, an agricultural worker in Spain who works the land but is not allowed to own land (a share-cropper). Prior to the 1936 revolution, it was unlawful for peasants to learn to read. Portland — stone quarried on the Isle of Portland in England. Pound (£) [currency] — in the text, and prior to February 1971, refers to Pound sterling, British currency equal to 20 shillings or 240 pence (old pennies) [as opposed to after February 1971, when it was equal to 100 new pennies]. Pound (lb.) [weight] — in the text, an avoirdupois pound equal to 16 ounces (oz. ), exactly, or 453.59237 grams (g.), exactly. Pence — plural form of penny. Penny — in the text, and prior to February 1971, a British copper coin (an old penny) equal to 1/12 of a shilling [in February 1971, Britain adopted a decimal monetary system where 2.4 old pennies equal 1 new penny]. Picket — a person (often a member of a labour union on strike), stationed outside a factory, store, public building, etc. (often carrying a sign, passing out leaflets, speaking to passers-by, etc. ), to demonstrate, protest, keep strike-breakers from entering, dissuade people from buying, etc. [—derived from its military usage—a soldier or group of soldiers (usually stationed at an outpost) used to guard a body of troops from surprise attack—labour unrest has often followed wars, after discharged soldiers swell the ranks of the unemployed.]. Public House (or Pub) — a tavern or inn. Rates (or rate) — a local property tax [real property tax, real estate tax] in Britain (e.g., parish rates, town rates, etc.) [property taxes are based on a fixed percentage of the assessed value (the estimated cost based on the price paid in current sales of comparable properties in the same geographic area)]. Ratepayers — property owners; land-owners. Royal Irish Constabulary — the national police force of Ireland, under British occupation. Sabotage — the conscious withdrawal of a workers industrial efficiency [as described by Elizabeth Gurley Flynn]; any action by workers which imposes an additional cost on their employer (an economic weapon intended to deprive an employer of the thing they most care about—money!) [Derived from the French word “sabot”—a wooden shoe thrown into the machinery at a factory to cause it to break down]; monkeywrenching [sabotage has also been used to achieve social objectives, like a social general strike]. Sack — to fire a worker from their job. Scab — a worker who refuses to join a union or who works for less pay or different conditions than those accepted by the union. A worker who refuses to strike or takes the place of a striking worker. A contemptible person; a scoundrel; a cruel and unprincipled low-life. Self-discipline — [should include] commitment [ability to set time aside for projects, to finish what you started, to prioritize the project over your ego] ; follow-through [doing what you say you will do, keeping a promise, reliability]; honesty [trustworthiness]. This is not Marxist ‘puritanism’. Shilling — in the text, and prior to February 1971, a British silver coin equal to12 pence (old pennies) [as opposed to after February 1971, when it was equal to 5 new pennies]. Shop Floor (or Shop) — factory floor; the place where something is made; the manufacturing or production area of a workplace; a work area. Shop Steward (or Steward) — a worker who is elected by his fellow workers in his workplace department to represent them in dealing with the employer; a department representative of a local branch of a labour union; a delegate. Slate — thin flat fine-grained bluish-grey stone tiles used as a roof covering. Small Arms — firearms which can be carried by individual soldiers; in the1919 Irish Sinn Fein rebellion and the1936 Spanish revolution, rifles and other weapons were acquired by raiding military armories and police barracks; after factories were collectivized in Spain, many were retooled to produce small arms, ammunition, and even armored cars, for use by the militia. Solidarity — workers’ solidarity; the principle found in animal and human society to “Treat others as you would like them to treat you under similar circumstances” [Peter Kropotkin, Anarchist Morality (London: Freedom Press, 1892), Chapter VI; translated from the serialized essay, “La morale anarchiste au point de vue de sa réalisation pratique”, Le Révolté, March 1—April 16, 1890]; a natural feeling of empathy toward other people who are wronged sensed because people know they wouldn’t like something if it were done to them; a common interest perceived by workers that “an injury to one is an injury to all” (—if they don’t fight against wrongs done to any individual worker or group of workers, then the employer will not hesitate to abuse other workers). Workers’ solidarity is strongly felt because the work relationship is an exploitive relationship, because workers develop a comradery by sharing their work experiences (knowing that their fellow workers are also abused), and they conclude that they have nothing in common with their bosses, their employers and the employing class. Strike — the conscious and organised withholding of workers’ labour against an employer with whom they have a dispute (an economic weapon intended to deprive an employer of the thing they most care about—money! ); a concerted [mutually planned, arranged, or agreed on] refusal to continue to work (by workers at a factory, etc.) until certain demands have been met (resolution of a workplace-related dispute, better working conditions, higher wages, etc. ); a “social strike” is a strike organised to resolve social problems created by an employer; a “rent strike” is a strike against a landlord or landlords. Rent strikes were organised by the CNT (see “CNT”) in Spain prior to the 1936 revolution. see also “general strike” and “unofficial strike”. Strike-breaker — a scab; a supplier of scabs for the employer; a person employed to intimidate strikers, etc.. Syndicalism — a theory and movement of trade unionism, originating in France, in which all means of production and distribution are brought under the direct control of their workers by the use of direct action, and organised through federations of labour unions; direct political and economic democracy in the workplace and community organised through labour unions and federations, including the abolition of capitalism, social classes, parliamentary government, bureaucracy and political parties. Syndicate — an association of workers to promote and protect the welfare, interests, and rights of its members through solidarity, mutual aid, education (training, propaganda, agitation), concerted direct action, collective bargaining, etc. ; a trade union; a labour union [from the French word syndicale]. Technics — the study or principles of practical arts (knowledge gained through practice or active use); industrial arts; technical and industrial knowledge learned on the job, commonly as an apprentice (novice, trainee) working for a master craftsman (expert; worker skilled in their trade; master builder, mason, mechanic, workman, etc.) to become a journeyman (workman who has served their apprenticeship and is qualified to work at their trade). Thatch — straw, rushes, etc., used as a roof covering. Toilet [articles] — articles used in bathing, grooming, and dressing. Ton – in the text, a gross or long ton used in Britain equal to 2,240 lbs., exactly, or 1.016 metric tons [1,016 Kg.]. Town Councillor — City Councilman/Councilwoman. Trade Union (or Union) — see “syndicate”. Tramway — a streetcar line. Trolley-Bus — an electric bus which gets its power from overhead wires like a streetcar, but does not run on a track. Truckman — a teamster; a trucker; a truck driver. “Unofficial” Strike — in the text, a strike not “officially” pre-approved by the so-called ‘leaders’ of the authoritarian British trade union “officially” recognized by the employer; a “wildcat strike”; often a spontaneous strike organised by workers, at their workplace, to resolve a work-related dispute [—also called a “Lightning Strike” because it is intended to catch employers off-guard and ill-prepared.]. Utilities — in the text, refers to items people use in their everyday lives. Wain — a wagon or cart. Whitehall — in the text, refers to a street in Westminster where several British government offices are located; a reference to the British government [as “Capital Hill” or “The White House” are used to refer to the U.S. government]. Wind Wood — dead branches blown off of trees and shrubs in stormy weather. Wireless Set (or Wireless) — a radio; in the text, a consumer radio receiver (as opposed to a radio which can transmit and receive). Woolworth’s — a department store. Workers’ Patrol (or street patrol) — a public safety patrol like “Neighbourhood Watch”, but it replaces the police instead of spying for them. In the Anarchist community of Kristiania, Denmark, all residents carry whistles to blow in case there is trouble. When a whistle is blown, all residents come out of their homes and workplaces into the street to confront the trouble-maker whose actions raised the alarm, and settle any problem (by collectively escorting the trouble-maker to the town boundary and booting them out of town, if necessary). World War — World War I.
Yard — 3 feet (ft.), 36 inches (in. ), or 0.9144 meters (m.), exactly. Tom Brown, whose writings did much to revive interest in Syndicalism and Workers’ Control, was that rare phenomenon in the British libertarian movement, a theoretician whose ideas had been tested and developed by his own experience in the hard school of working-class struggle. An able and persuasive public speaker, whether at Speakers’ Corner in Hyde Park, at indoor meetings, or in the more intimate role of lecturer, he had the happy knack of relating what he said to the everyday experience of his audience. The same quality illuminated his writings which mirrored the life and times of this lifelong revolutionary and loyal comrade. Born and raised within sight and sound of the Tyneside shipyards, Tom served his engineering apprenticeship there and was quickly drawn into militant industrial activity. Much of his working life was spent as an active shop steward and factory floor activist. Like many others he was fired with enthusiasm by the Russian Revolution, was an early member of the Communist Party and, for a time, became its industrial organizer for the North East. But the double dealing of the Communist Party and the growing repression in Bolshevik Russia quickly brought disillusion and he left the party, though never his natural role as a shop floor militant. Moving south during the Depression, he worked in the motor industry of the West Midlands and, around this time, was attracted by Anarchist and Syndicalist ideas. In the mid-thirties he and his wife, Lily, found their way further south to London with their daughters Ruth and Grace. The Spanish Revolution of 1936, with its takeover of industry and agriculture by the Anarcho-Syndicalist unions of the CNT in anti–fascist territory, especially in Catalonia, reinforced and developed Tom’s own ideas and he became a member of the grouping around the paper Spain and the World, which was dedicated to supporting the Spanish workers. He spoke at meetings supporting their struggle, several times sharing their platform with Emma Goldman. His Syndicalist writings appeared for the first time in Revolt, which followed Spain and the World after the fascist victory in 1939. During World War II, as a member of the Anarchist Federation of Britain (AFB), he wrote regularly for War Commentary for Anarchism and produced his first two pamphlets, Trade Unionism or Syndicalism and The British General Strike, both had wide sales. He helped launch Direct Action in 1945 and continued his close association with it for well over 20 years. He and Lily returned to Tyneside in the late 1960s where he made several lively contributions, on libertarian subjects, on local radio. Tom Brown’s activities and writings have influenced and inspired many people. Editor’s Note: I noticed, at once, when I start to read this that it is written in the masculine gender, as one worker speaking to others. The reader should remember that this series of essays were written in 1943 when it was common to use the masculine gender to refer to persons of both genders. The evolution of gender neutral terminology and their common usage in written material are a relatively recent linguistic development. The reader should also remember that, even during World War II, the number of women in the workforce was relatively small. The growth in the proportion of the work force made up of women largely occurred after World War II, with a significant jump occurring in the 1970s and 1980s when the erosion of the purchasing power of workers’ salaries instigated a dramatic increase in the number of two worker households, to where it became common at the end of the 20th-Century. The introduction of gender neutral terminology in the workplace accompanied this dramatic increase in the number of women workers.